Norra Skogsskolan video intro animation and sound post mortem. In this article we discuss the ideas and thought process behind creating a solid animation. 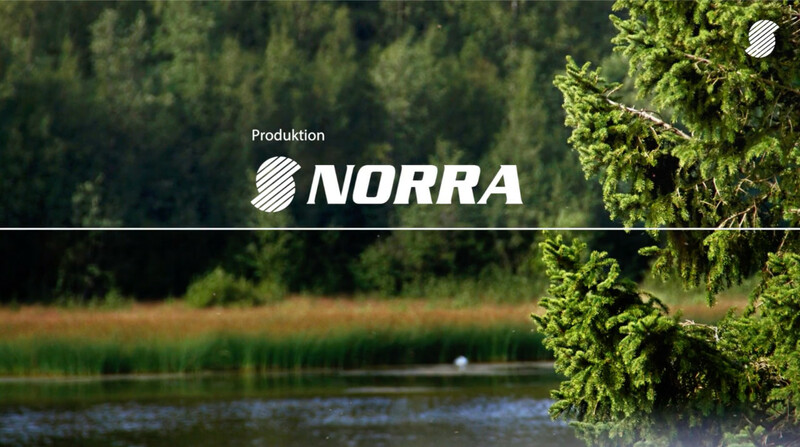 Two years ago we were hired to create a opening and closing animation for Norra Skogsägarna. I think this project is a perfect match to write a post mortem article about. So let’s dive right in from the early brief to the final product. The client brief was to take Norras current opening video, into a more clean and modern graphical direction. Time takes it’s toll from designs and it’s always good to do a little refreshment from time to time. So we brought our expertise in UI/UX design, sound, music, photography and animation to the table. 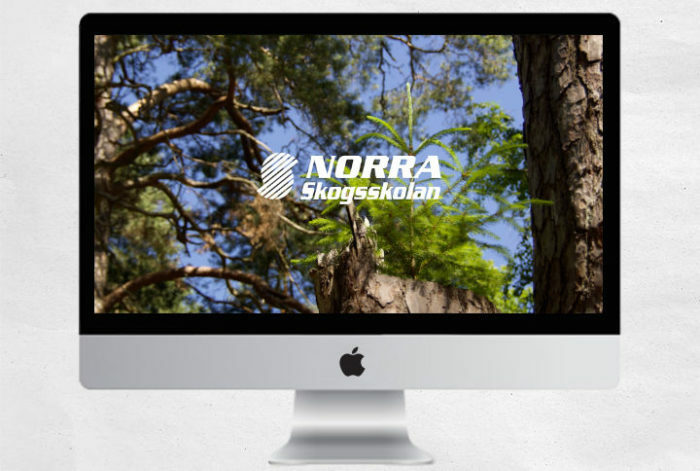 The idea was to create a clean opening and closing animation for the core brand Norra, and the sub-brand Norra Skogsskolan. We would bring recognisable key elements from the core brand to the sub brand to make them sit in the same direction and flavour. We always work by the principle that less is more and thus we searched for a pure and clean way to present the brand. Our idea was to come up with a simple but effective animation effect that would work across the intro sequence. It should also work as a closing effect carried by a strong musical cue to go in line with the graphics and presentation. Since our source material was some really nice still photos we did a mockup sketch, presenting the idea of lines cutting images in and out. Masking at the line seam and moving in a few different directions, sometimes with multiple lines (images) present at the same time. The client approved with the idea so we went forward and started setting up the scenes for animation in our animation software. The basic animation was created by keyframe animating straight lines moving in different directions and masking in new photos where the lines were intersecting between the images. We also added a subtle ken-burns effect by zooming in to the photos slowly. Since we were using simple static photos it was a great way to give a sense of movement and propel the opening forward. We used Apple Motion in a combination with Blender 3d to create the final animation. Taking the ideas from the core animation and creating a more playful style to suite the video animations of Norra Skogsskolan. 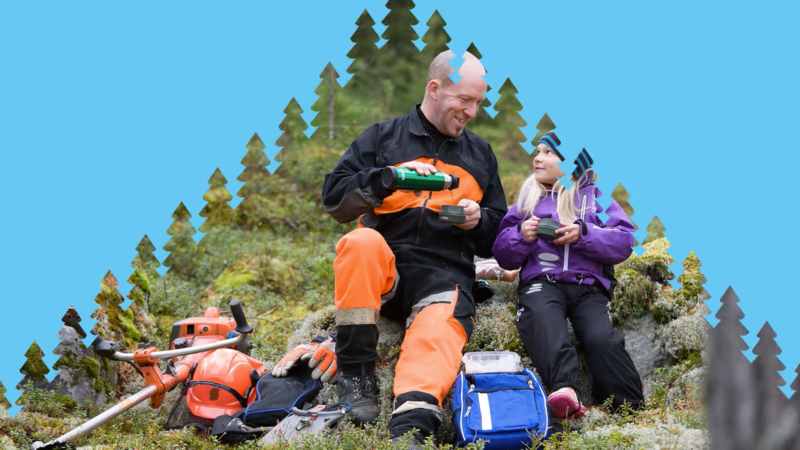 The video intro animation for Norra Skogsskolan was given a little bit more playful character since it’s about forestry education with a broader audience. To make it suit the direction we created a few new masking transitions. Replaced the photos and created a more playful music cue. Wouldn’t it be fun with some pine trees? For the absolute beginning I had the idea of replacing the lines we used for masking in the original transitions with some pine trees. I created some vector trees in blender and used the mirror modifier to make the singularity into a pattern of trees. Below the trees I added box filled with the same color as the trees and let the tree object (with the box below) act as the mask for the photo underneath. This created a fun, smooth and unique transition effect. In the image below you can see the absolute beginning which starts with a smooth blue color and then the trees masking in the first opening photo of the animation sequence. We also took a “school bench” top down desk photo to give it that lighter tone as a final image for the opener as it transitions into the actual educational film. The key component behind Norra and forestry is of course wood, so the first obvious instrument that came to my mind was of course…you guessed right. The Gentleman of instruments, the grand piano! The previous music the client had used was of course outdated so we wanted to start fresh with a clean clear simplistic idea. The melody should feel like a breeze of fresh air blown right out of the northern woods of Sweden. And so I composed the opening music cue for the core brand using a lighthearted piano. Paying tribute to some of the notes of the old familiar theme. Taking it into a slightly different direction with a clean and open sound atmosphere without too much fuzz. Underneath that core piano melody we added some light strings and a arpeggiated organic synth to give it movement. There is a light sweeping cymbal to introduce the cue and it closes with a more solid percussive bass hit which gives it that news anchor cue finale. The piano was layered with a higher pitched bell sound and some light pizzicato strings to enhance the lead melody and to make it pop. Modern music is all about layering so we did it in a subtle way to give it a nice smooth sound without going overboard. The key to a good sound mix is to make room for a certain amount of space and air so that the theme can breath. As always I make a few variations for the client before we decide on the final piece you just heard. Here are a few different versions, they were all quite good but did not make it to the end product. To create a more lighthearted feeling in the music theme for the educational platform of Norra Skogsskolan we selected some snappy sounds. We included a short muffled kick, fingersnaps, claps, woodblocks, brushed snare, damped guitar, a more synthetic lead and some light vocal chops to give it a every so slightly modern EDM touch (can’t live without those vocal chops). Underneath it all is a thick string patch to give the music a solid foundation. The key to a good sound mix is to make room for a certain amount of space and air so that the theme can breath. If you want to hear more music cues from our composer for media Mattias Holmgren head over to the listen page. For the closing animation I added a very moody photo taken on a early summer morning in the Holmsund archipelago in 2016. When looking at the Norra Skogsskolan opening animation I felt something was missing to breath life into the final product. So I decided to layer a video clip of subtle pollen particles flying by at different focus to give the animations some 3d depth. When the particles were added the animation really got that nice pristine character and flavour. I wanted you to be able to smell the actual atmosphere of the scenes in the animations although we were using still shots. We also created some lower third name tag animations to go with the new brand identity for the video animations. 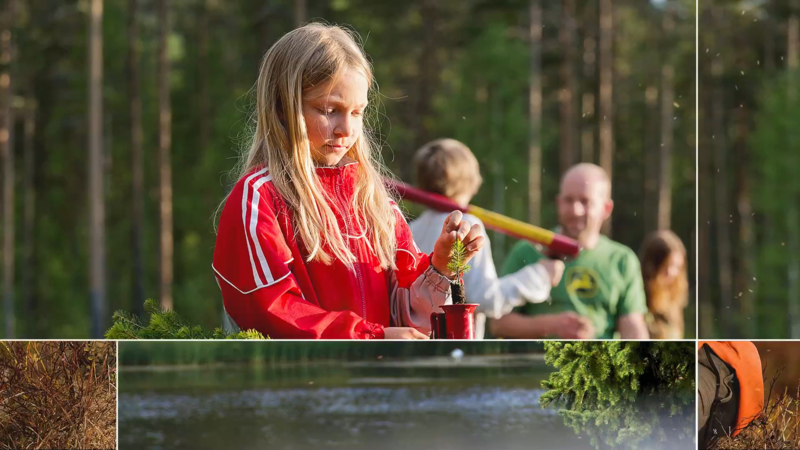 You can see the end result in this video about forestry planting.